The ABM 3020 Tailpiece is a premium quality stoptail in the classic design for anchoring the strings of your Tune-o-matic bridge equipped guitars. 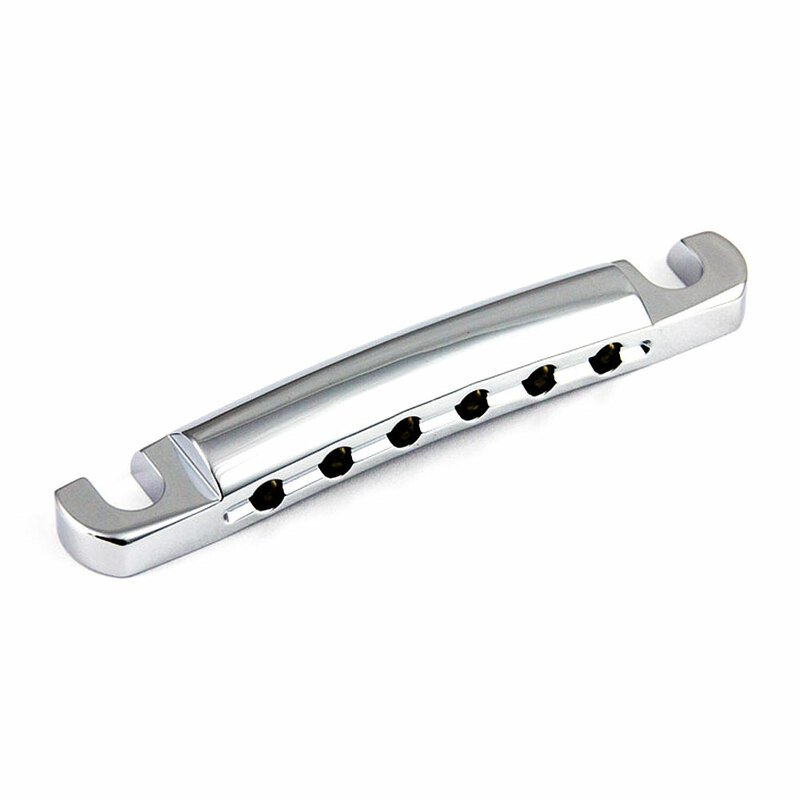 The tailpiece is milled from a solid block of either brass or aluminium for your tonal preference. 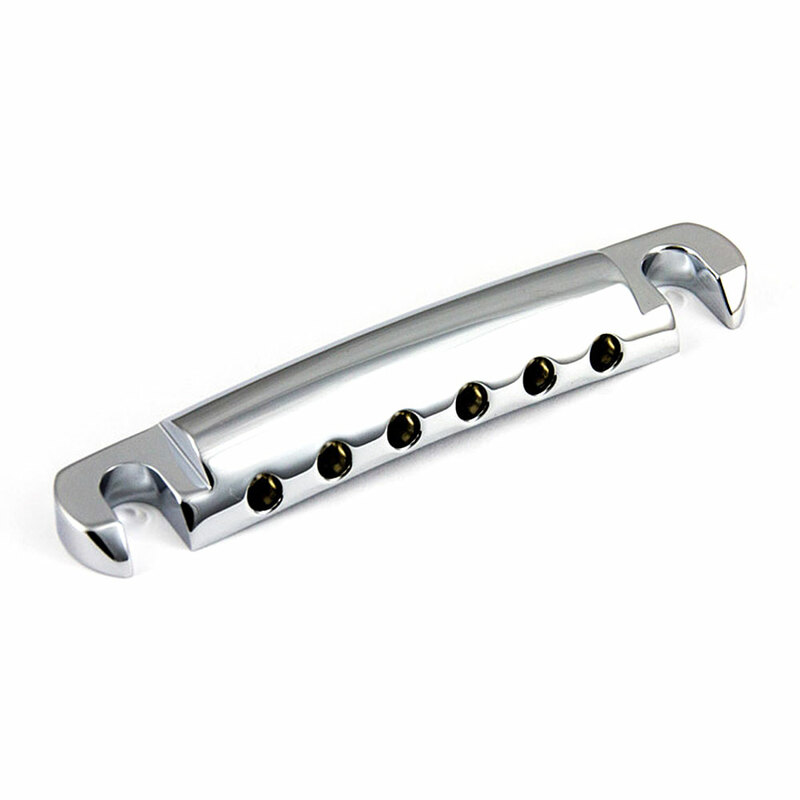 The bridge is supplied with imperial 5/16-24 threaded (Gibson spec) studs/posts and body anchors/bushings and fits the standard Gibson 82 mm (3 1/4") post spacing, if you are upgrading parts on a metric 'import' guitar (e.g. Epiphone, Schecter, ESP LTD etc) the tailpiece body will fit on to the existing metric studs/posts on these guitars.